Please note that with this new release, Windows XP is no longer a supported platform. You do not need to uninstall the previous version (1.0) of Check-In. When you install the new release, you can have both versions available on your Check-In PC. This will give you time to migrate settings and to test the new release before you begin to use it. At the beginning of May, 2019, you must begin using the new release, as the previous version will no longer be supported. Launch the installer. Go to https://www.touchpointsoftware.com/checkinclient/. This will bring up the browser page shown below. On the Installer page, click on the Install button to download the installer. Depending on your browser and system settings, the installer will either be simply downloaded to your default download folder, or it may be run automatically. If it does not run automatically, find and launch the file CmsCheckin.application. 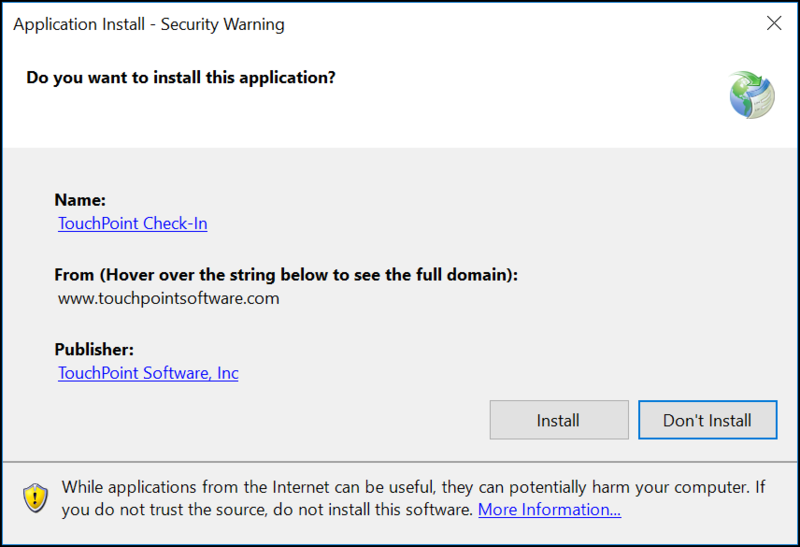 When you launch the installer, you will see an Application Install - Security Warning as shown below. When the installation is complete, you will be presented with the application’s Login window, shown below. In the Server Information section, enter your sub-domain. 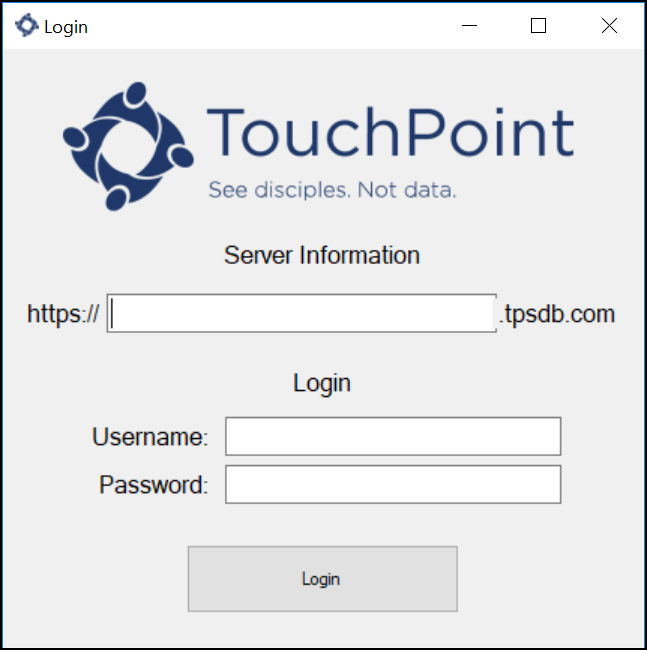 This will be the church-specific part of the URL for your TouchPoint database. Then, in the Login section, enter the Username and Password for an account that has the Checkin role. When you complete the login, the Settings window will appear. You can compare the settings in your previous version of the Check-In application as a guide for entering the appropriate settings for this new release. The settings options will be identical between the two versions.